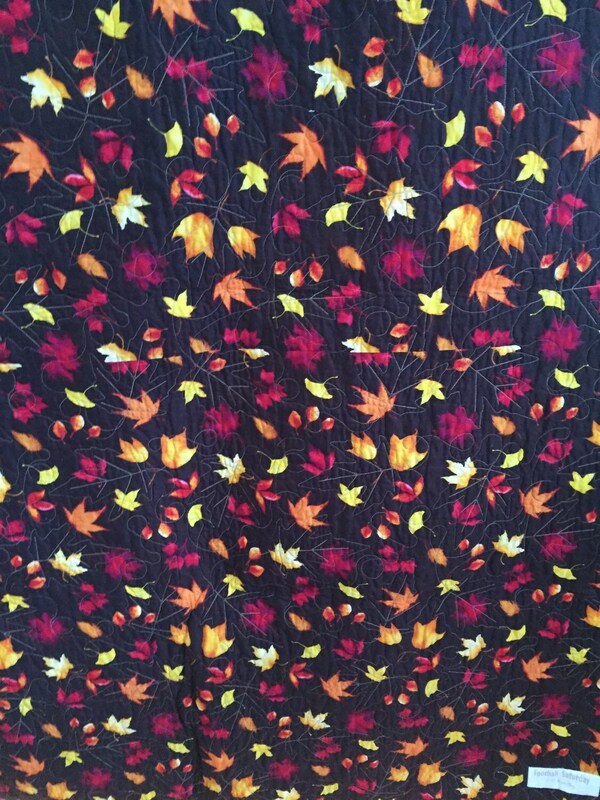 "Football Saturday" is a leaf quilt that measures 54x72 inches. 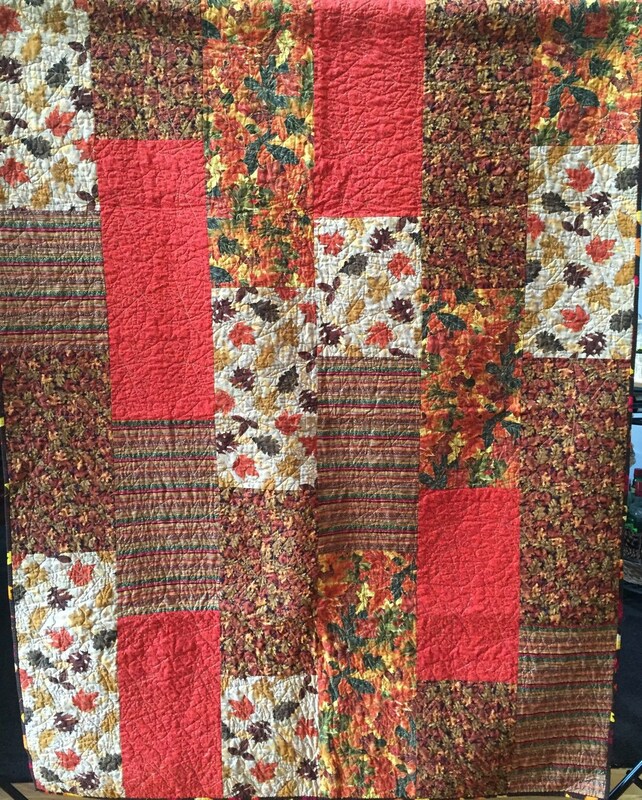 This quilt makes you think fall and football, and I love football! 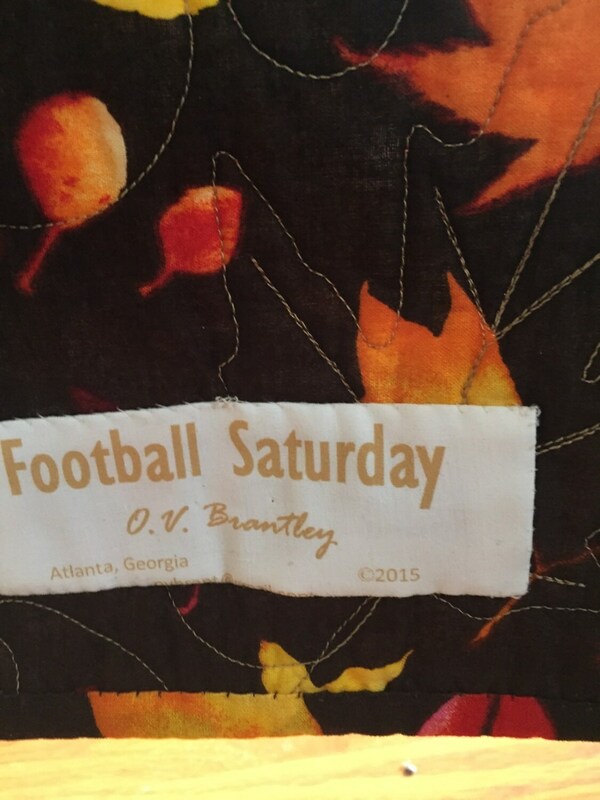 "Football Saturday" can function either as a lap quilt or you can hang it as a work of art. The dominant colors are orange, gold and brown with a little sparkle. 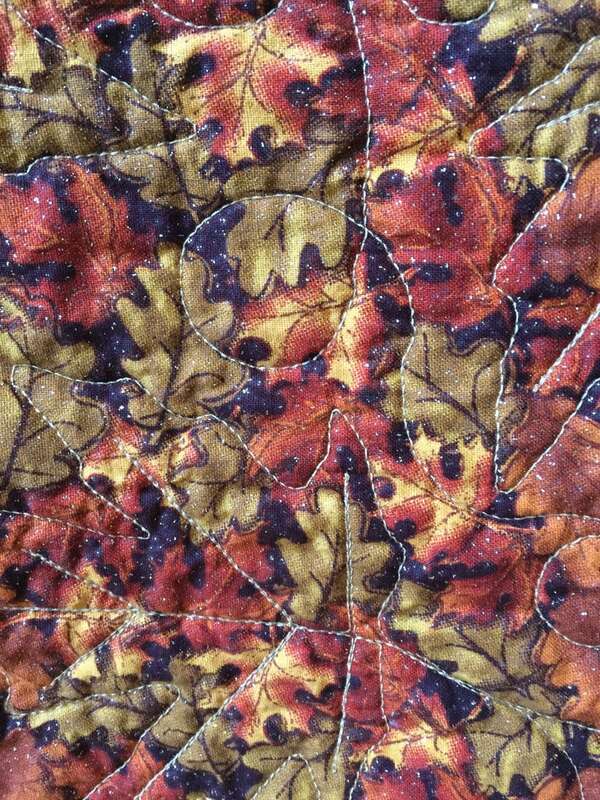 It is machine pieced and machine quilted in a leaf pattern. 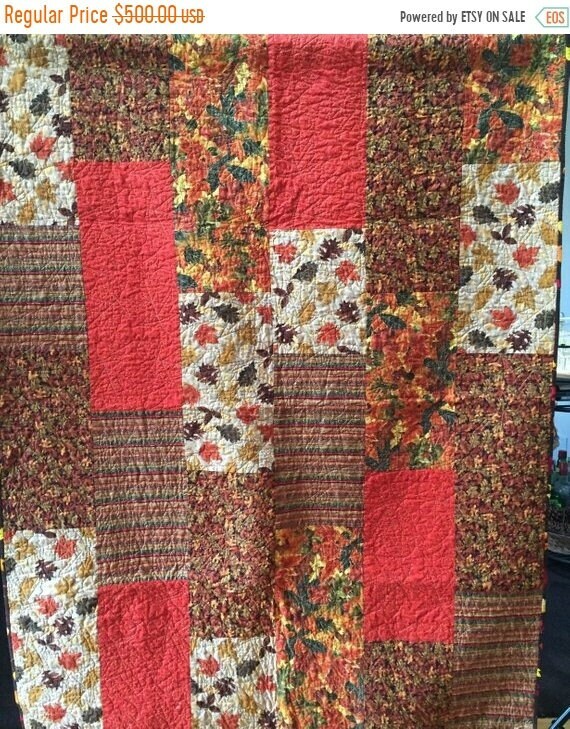 Like the front, the back has a leaf fabric. There is a hanging sleeve on the back for easy display and a label that documents the quilt.